Styrene-acrylic Emulsion For Flexographic Printing Ink is a high-performance soft film-forming acrylic polymer emulsion, eco-friendly water-based emulsion, free from harmful substances, no APEO. 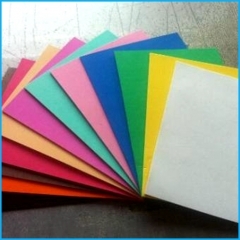 It is specifically designed for the production of water-based paper inks, such as paper ink, corrugated paper or cardboard ink, other water-based flexo and gravure ink. 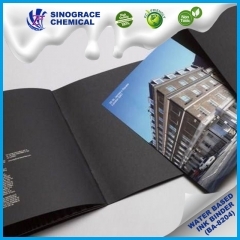 Water-based acrylic emulsion BA-8202 is a high-performance soft film-forming acrylic polymer emulsion, eco-friendly water-based emulsion, free from harmful substances, no APEO. 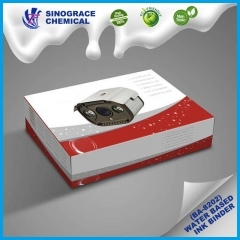 It is specifically designed for the production of water-based paper inks, such as paper ink, corrugated paper or cardboard ink, other water-based flexo and gravure ink. Water-based acrylic emulsion BA-8204 is a non-film forming acrylic polymer emulsion. It has good compatibility with ethanol, isopropanol and other solvents. It is especially suitable for the production of flexo and gravure printing inks.